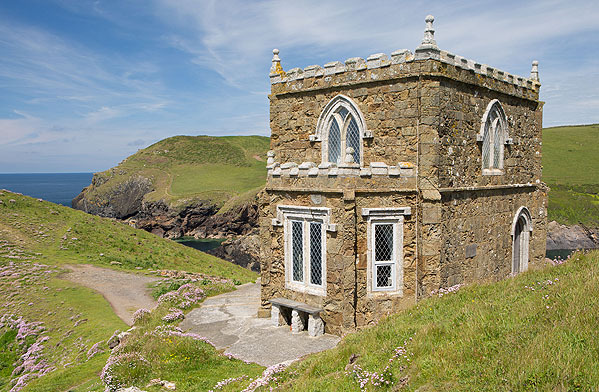 A picturesque Folly (1839) on Doyden Point . A 2 storey building with a basement wine cellar , built as a 'pleasure house' for Samuel Symons , from nearby Wadebridge. Fine views over Kellan Head and the Inlet to Port Quin and extensive views westward towards Pentire Head and 'The Rumps'.